Many newspapers create their obits using a set template. 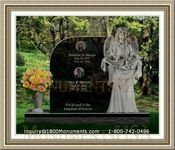 For the most part, they only include factual statements like the deceased's full name, birth and death details, residency, education and employment basics, as well as the family they leave behind. These simplified announcements are commonly offered as a courtesy without charge.